Here’s the history of Northwest weed, from the early hippie days to the drug war to the medical years up through today. 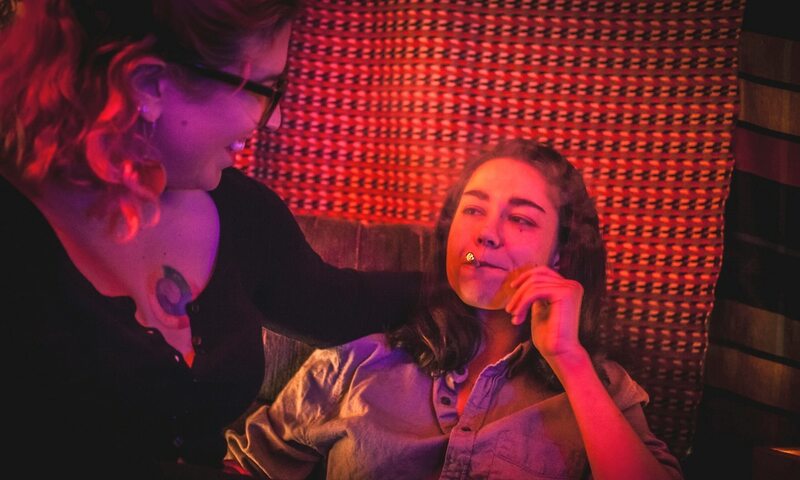 Before Portland had bougie weed shops furnished by Design Within Reach, budtenders with man buns, and poly-hybrid designer cultivars called King Louis XIII, we had great weed. Strains like Blueberry, Space Queen and Dogshit are part of our cultural heritage. These cultivars were grown in attics and basements on suburban cul-de-sacs, and guerrilla style on government land. They were revered for their idiosyncratic highs and distinctive flavors. Since full legalization, many of these strains have become relative rarities, eclipsed by more marketable strains in a climate in which everyone from retired basketball players to long-dead reggae singers are peddling product. Just tracking down many of these old-school strains takes a lot of legwork. Rare as they've become, these iconic cultivars tell the story of Northwest cannabis, from the early hippie days to the drug war to the medical years up through today. Here's the history of Northwest weed, as told through the cultivars that defined it. In the early 1980s, the Dazed and Confused Carter years gave way to the War on Drugs, just as new technology made it possible to grow cannabis efficiently indoors. Eugene's DJ Short was one such early adopter of the indoor grow, back in a time when fluorescent lighting in a closet was considered high tech. It's astonishing to think that Short created one of cannabis's most legendary strains—Ludacris wrote a whole song about it, declaring, "It's got me singing melodies I never thought I would"—in a 4-by-4-foot closet in a house in Eugene. But that's the story the man tells. Blueberry marks a departure from the wild, landrace cultivars that dominated the U.S. market in the 1960s and '70s—one of the first stateside strains to employ indica-sativa hybridization for the express purpose of indoor cultivation. Short's son, JD, described the strain's cultural impact to Potlander back in April: "A lot of the herb that was around at that point was spice weed, or it was the Afghan, which was skunk. DJ came along with these things that were berry and purple, and it just blew people's minds." The elder Short is a devout sativa enthusiast, but growing sativas in closets is a difficult task because the towering plants can double or triple in size during their flower cycle, often outgrowing their environments before they're ready to harvest. Short wanted to create a plant that would fit in his closet but also deliver the blissed-out, landrace-sativa highs he grew up on. He began experimenting with the squat indicas that were trickling into the U.S., crossing them with old favorites to see what he could come up with. When he found those berry notes, he knew he had something special—and those genetics have spread around the world. 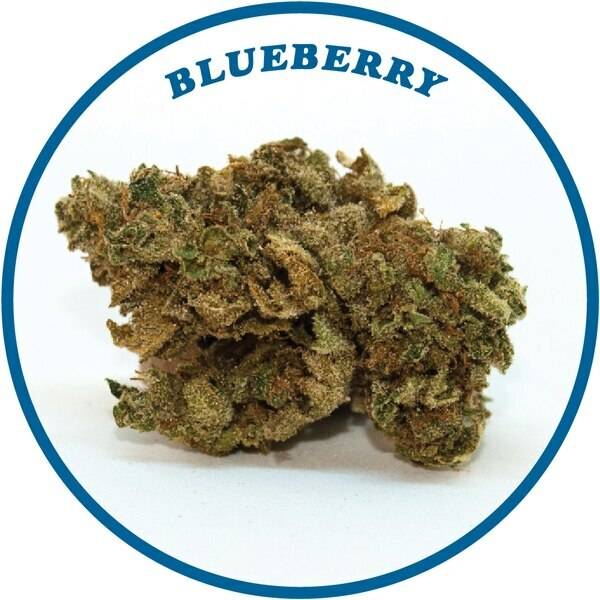 Pretty much anytime you see a strain with "blue" or "berry" in its name, it came from this Oregon-bred cultivar. By the 1990s, Blueberry had gained global recognition as an example of what could be achieved by tinkering with hybridization. It didn't take long for growers to adopt the practice. 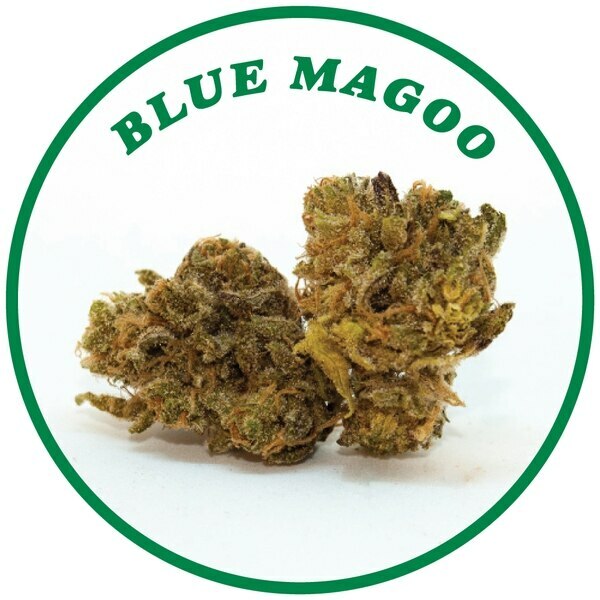 One of these early, Oregon-bred efforts is Blue Magoo, a direct descendant of the original Blueberry that claims William's Wonder as its father. "I first heard about Blue Magoo when I moved to Oregon in '96," says Professor P, founder and co-owner of cannabis seed supplier Dynasty Genetics in Boring, who granted an interview on the condition we use only his industry name. Although Professor P didn't acquire the rare, clone-only cut until a decade later, he's the strain's most prominent preservationist. A solid chunk of Dynasty's breeding projects and seed releases can be traced back to that storied cut, which still circulates in flower form on today's dispensary market. "I started making seeds to be self-sufficient," says Professor P.
As the medical cannabis market began to look something like an industry, more growers came to him for seeds, so he started to develop new crosses. He got serious about breeding medical strains after a friend lost his leg following a nasty snowboarding accident in 2003 and got hooked on opiates. "He was a ghost in the shell," says Professor P.
After that, he designed new strains specifically for pain management—strains that helped his friend get off opiates and reclaim his life. Two years later, when Professor P was himself badly injured in a car wreck, he began using the strains he'd created for pain management, and realized others might benefit from their wider availability. In a time before strong scientific research, and before we understood the value of non-psychoactive cannabinoids like CBD, medical breeders worked by anecdote and individual-use cases. And they were surprisingly successful. Place of origin: Oregon? Idaho? Michigan? You decide! In 1998, Oregon and Washington legalized medical marijuana, just two years after California became the first state to adopt a medical marijuana policy. With this fast-growing infrastructure for legal weed farming on the West Coast came the designer cultivars we know today. While liberal compared to the drug war years, the political climate demanded secrecy and a level of discretion, which had made the history of specific strains hard to suss out. "Ten or 15 years ago there wasn't much breeding going on in Oregon," says Archive Seed Bank founder Fletcher Watson, who's spent the past 15 years traversing the West Coast, collecting and preserving rare cannabis genetics from clones. Before the turn of the century, he says, consumers were happy to take what they could get. At the same time, growers were doing their best to stay off the radar—divulging added information about their products only when absolutely necessary. "Back then, the main locally produced varieties were Pineapple, Pineapple Dogshit, Trinity [and] Space Queen," explains Watson. "Everything else was being brought in." 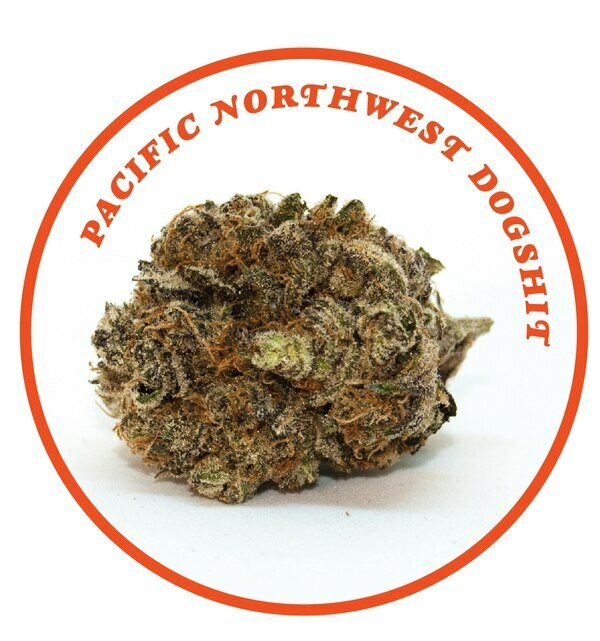 In that era, the "best weed in Portland," as Watson puts it, was Pacific Northwest Dogshit. It's a fast-fading memory now—perhaps partly because the name doesn't look great on letterpressed placards. Recollections of the strain's origins are the stuff of lengthy online forum discussions and heated debate. According to Watson, Pacific Northwest Dogshit actually hails from Idaho. When I tracked down the strain in person at Five Zero Trees West, the manager on duty told me with great conviction that the strain originated in Michigan. The big takeaway isn't the who or the where but the why: In a time when to grow or breed was to commit a criminal act, the outlaws who took the risk kept their heads down. By design, pre-MMJ strains like Dogshit come from nowhere and no one. Aroma: Pine-berry incense and lemon-balm musk translate to soapy mango skin when smoked. In the case of heritage Oregon strains like Blue Magoo and Pacific Northwest Dogshit, we'll probably never know where exactly these plants came from. Yet we do know where these strains went. Take Space Queen, an early medical strain that's become a backbone to the Pacific Northwest's genetics. The story is that Space Queen came from a guy who called himself Vic High, who created the strain by crossing Cinderella 99 and Romulan. But this shadowy figure is best known for his contributions to web-based cannabis forums, and slipped into the darkness many years ago, never resurfacing. What subsequently happened to his work captures the medical era in a nutshell. In the mid-aughts, a grower by the name of Subcool, then in Southern Oregon, picked up where Vic High left off. The majority of Subcool's critically acclaimed strains, which he releases through TGA Subcool Seeds, rely on a Space Queen dad known as "Space Dude." But the best seed Subcool sells, 9lb Hammer, wasn't actually his. Rather, a grower and breeder in Seattle who goes by JinxProof, created the Hammer by crossing Subcool's Jesus OG (a branch of the Space Queen family tree) with a closely guarded Washington strain called Goo Berry (Blackberry and Afgooey). "I just wanted to create a cool strain," says JinxProof, creator of the Hammer, who's been growing in the Seattle area for nearly 30 years. When he started working on the strain back around 2010, he was under Subcool's employ as a distribution rep.
JinxProof was in contact with growers, so he started passing out seeds of his new cross to testers, who mistook 9lb Hammer for the work of Subcool. "It started blowing up on social media, and because I worked for Subcool, people started bugging him [for the strain]," JinxProof says. 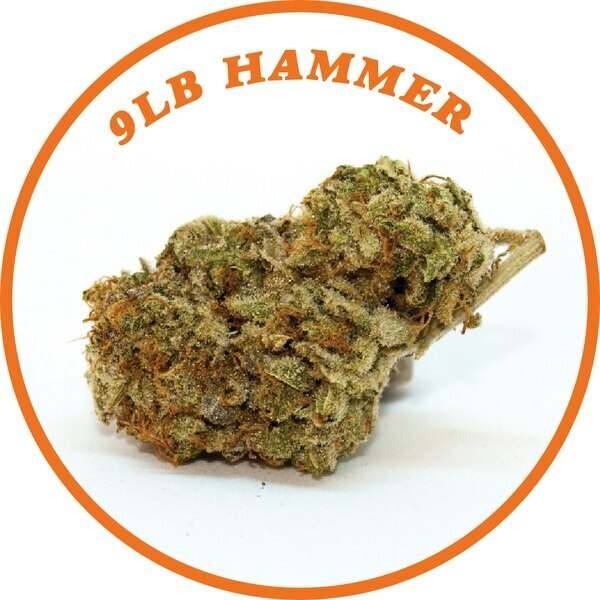 Eventually, reluctantly at first, Subcool began vending 9lb Hammer seeds, distributing them under TGA's umbrella of genetics. Soon, though, it became the most popular strain offered by Subcool, while a growing collection of JinxProof's subsequent creations also started to commercially outperform Subcool's original collection. JinxProof's success demonstrated the industry-swaying mass of consumers found on platforms like Instagram, and the way that's shaping the future of cannabis cultivars. As medical marijuana became more accessible and demand for cutting-edge designer cultivars increased, people began to worry about the old-school strains, and a preservationist movement took hold. That's probably best exemplified by Archive Seed Bank and its keep-everything philosophy. Fifteen years ago, Archive founder Fletcher Watson made it his personal mission to preserve the West Coast's most elusive strains, and the result is a host of fantastic crosses—RudeBoi OG (Irene OG x Face Off OG BX1), Scooby Snacks (Platinum Girl Scout Cookies x Face Off OG BX1) and Grimace OG (Purple Urkle x Face Off OG BX1)—all of which are common to the Oregon market. But none of Archive's strains has made a splash quite like Do-Si-Dos, a cross of Watson's go-to Face Off OG stud and what is often referred to as a "mutant" genotype of Girl Scout Cookies, dubbed OG Kush Breath, or OGKB. "I got the cut of OGKB from [online forum user] Norcal ICMag back in late 2012, early 2013," says Watson. It wasn't a commercially viable strain: It was low-yielding and expressed hermaphroditic characteristics. "It didn't have any production value," says Watson. Yet, the OG Kush Breath was exceptionally tasty and commandingly potent—a standout in the vast sea of Cookies-related genetics. In an effort to preserve the strain's potency and decadent terpene profile while improving its yield and reducing its tendency to turn male, thus losing its flowers, Watson introduced the clone-only mutant to his prized Face Off OG male. Initially, Archive released only a few packs of seeds from the cross, but he also passed cuts back to Norcal ICMag, who produced more clones and released them to the Bay Area grow community. Do-Si-Dos blew up. So much so that Archive's current lineup of seed packs is all fathered by a new Do-Si-Dos stud. When it comes to his hit, Watson is less a proud father and more a satisfied businessman. He says he'd like to see more interest in the "old-school" heritage genetics he preserves and distributes through Archive Portland, his nursery and dispensary on the southeastern edge of town. But like any good businessperson, Watson follows demand. "[Do-Si-dos] is commercially viable because cannabis is becoming a marketing thing, but not a localized produce thing like it once was," says Watson. "People are like, 'Well, give me whatever I see on Instagram.'" In that regard, Do-Si-Dos is a mere drop in the tidal shift induced by the new adult-use market, where there's now demand for ultra-new flower of niche descent. "I haven't personally lost a lot of those [old-school] strains," says Watson, "but the whole market itself has lost a lot of that diversity." Yet the market has a way of correcting itself. Those heritage varietals of yore will probably cycle back into the wheel of demand.